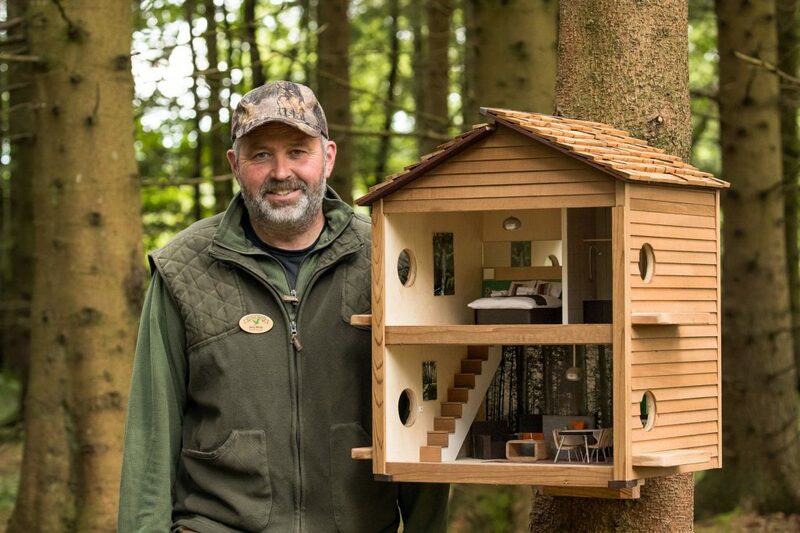 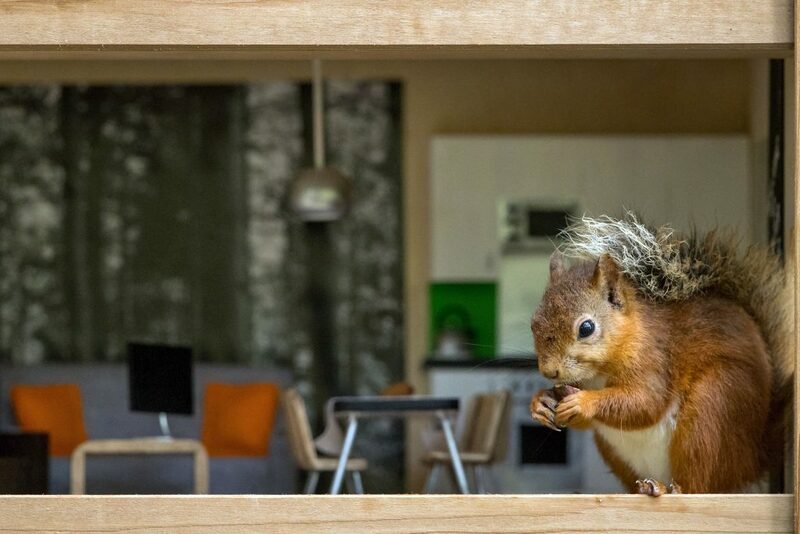 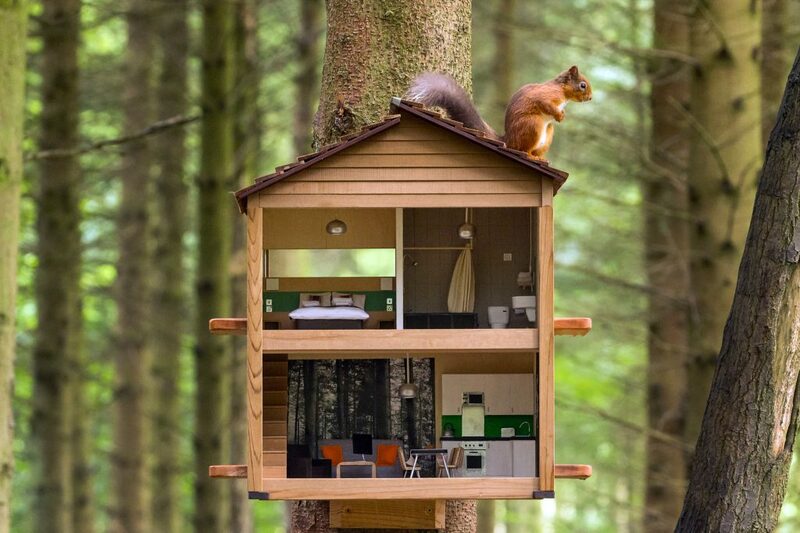 A red squirrel scouts out a luxury feeder designed to look like a Woodland Lodge. 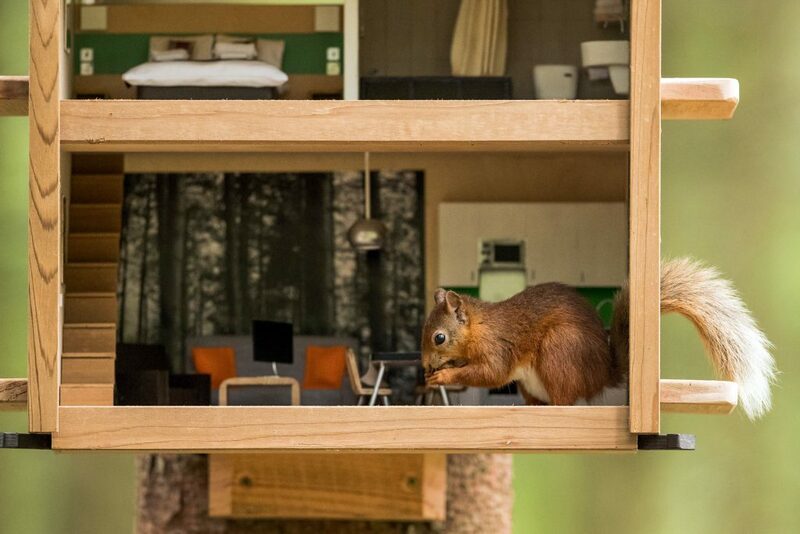 It has been constructed to help feed the declining species of the Red Squirrel within the Center Parcs complex in Whinfell Forest, Cumbria. 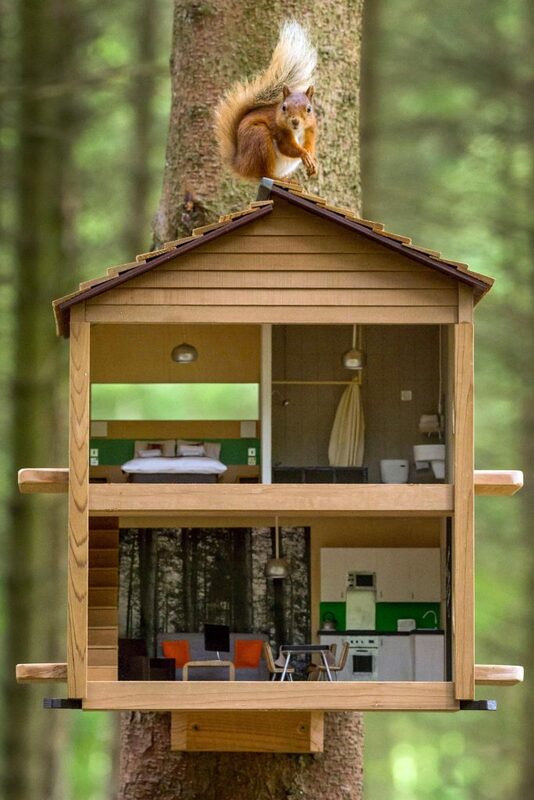 Sir Cliff Richard slashes asking price of Portuguese vineyard ‘bolthole’ by almost half!